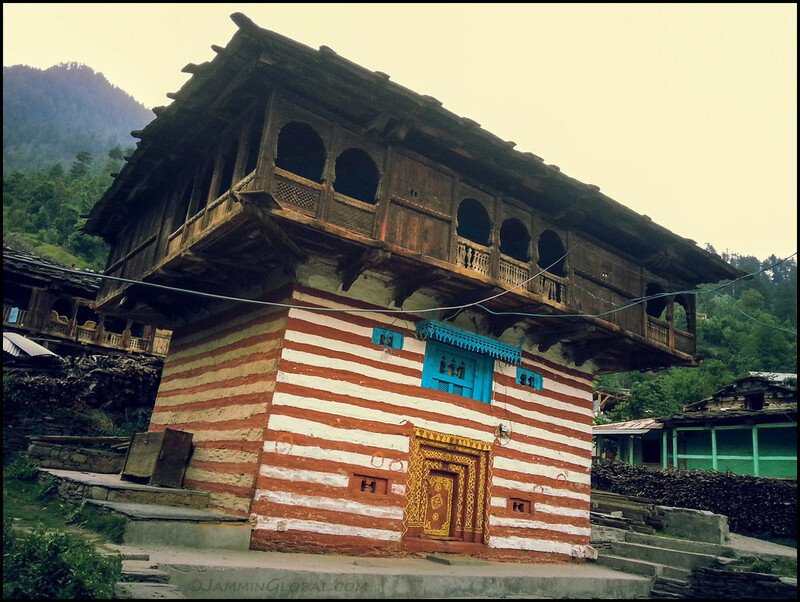 A house in Old Manali, looking grand with its colored walls and wooden balconies. I’ve stocked up on supplies for the highlight route of my trip, the Manali-Leh Highway. From here, I’ll be climbing into the upper reaches of the Himalayas and riding on some of the highest roads in the world. GoPro and SLR batteries charged, walnuts and dried apricots in stock, woolen socks on and here we go!